Do primates learn from being social? Lauren Howard, assistant professor of psychology & scientific and philosophical studies of mind at Franklin & Marshall College, delves into how apes and chimpanzees pass along and learn information. Lauren is an Assistant Professor at Franklin and Marshall College (Psychology Dept / Scientific and Philosophical Study of the Mind Program). She studies social-cogntive development, with a current focus on the situations and people that infants and children learn from most robustly (see dax.fandm.edu for more information). Lauren got her start in developmental psychology at the University of Pittsburgh, where she earned a Bachelor of Philosophy in Psychology and Anthropology. She completed an honors thesis with Celia Brownell, investigating sharing behaviors in toddlers, and worked as a research assistant with Jana Iverson. After graduating from Pitt, Lauren became a lab manager for the Early Learning Project at Georgetown University with Rachel Barr. Here, Lauren worked on projects examining infant memory for screen media. She completed her masters degree on social memory in 2010, working with Tracy Riggins and Amanda Woodward at the University of Maryland. 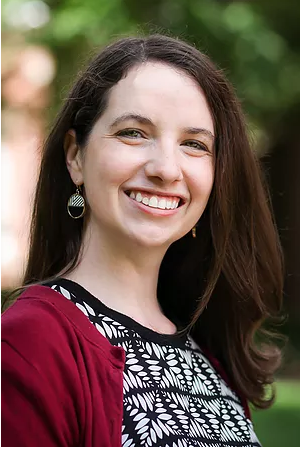 In 2015, Lauren graduated with a PhD from the University of Chicago under the tutalage of Amanda Woodward, exploring why children and infants preferentially remember events that include other people. Much like humans, many species of nonhuman primates are adept social learners. For example, chimpanzees have the ability to learn from the actions of social partners, allowing them to gain information without having to teach themselves. Though it is clear that primates can glean information socially, until recently we did not know whether social context actually influenced how apes remembered information. Is learning from a social partner better for memory, or do apes equally observe and remember information regardless of how they receive it? In order to answer this question, we ran a study at the Lincoln Park Zoo in Chicago, exploring whether chimpanzees and gorillas were more likely to remember the actions of a social model versus an inanimate object. We played the apes videos of either a human hand building a block tower or a mechanical claw building the same block tower. After apes were sufficiently familiarized to the videos we assessed their memory for the tower. Of course, you can’t simply ask an ape what they remember about an event. Therefore, we used a piece of technology known as an eye tracker to passively record information about where and how long the apes were looking. This allowed us to explore how both attention and memory were influenced by the inclusion of a social model. Our results showed that chimpanzees and gorillas were more likely to remember the events that included a social model. This wasn’t because the social model was more interesting, as apes attended to the videos with the human hand and mechanical claw equally. Instead, the information gained from the social model was simply remembered better over time. This research provides insight into how social primate species pass along and learn information. In fact, it may even shed light on our own social proclivities, setting the foundation for our significantly more extensive human culture. “… the information gained from the social model was simply remembered better over time.” How much better? Why? How did researchers make this determination? There is no mention. What kind of information was it? Ethnomethodologists in sociology are interested in a related problem in human societies — is there a correlate for our institutions among apes? Do they reify their dominance hierarchies that same way that we do? How is this social information transferred from one generation to the next — what accepted cognitive framework (i.e. social memory) facilitates intergenerational transfer and retention among apes?